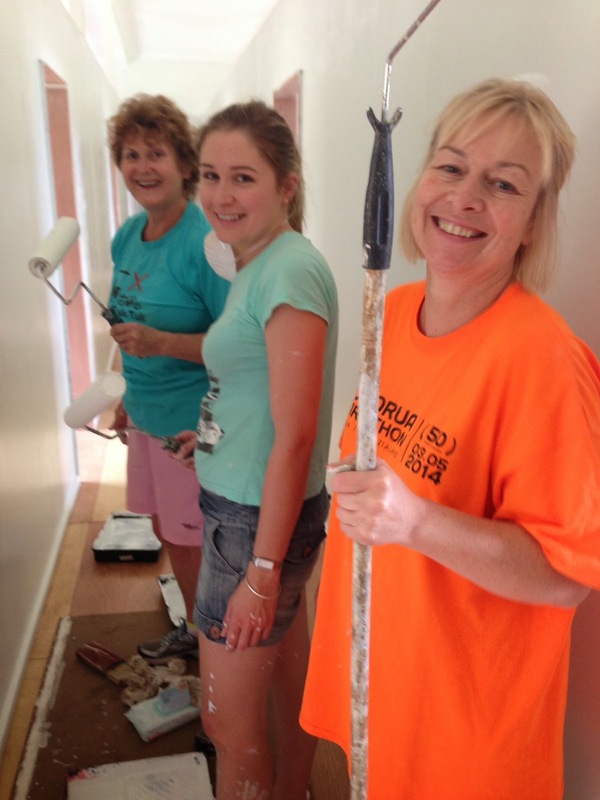 Rotary success stories - New Zealand and SW Pacific: ENGAGEMENT … the new Buzz-word in Rotary! Engagement means we get more service done and we have higher retention because Rotarians are more motivated and satisfied with their membership. Sounds impressive but what is it? Is it as simple as this? To answer, as with most things in life the answer is a bit of yes and a bit of no. · What is the club trying to achieve this year and have these been added to Rotary Club Central on www.rotary.org with monthly updates so all members can see progress towards achieving these. · What are the specific goals for each event or project during the year? · What are the expectations of members? This may be illustrated by the response to someone not performing a task who the uses the excuse “But I am a volunteer” to which the reasonable response is “Agreed, but YOU made a commitment”. · People do make commitments with the best of intentions but when circumstances make meeting these difficult, they need at least to say so and seek help … that is what team-work is all about. · Club leaders need to be open-minded and actively encourage members to express their ideas and perspectives on any and every aspect of the club without criticism. · This includes an encouragement of innovation. · People do not work well in a vacuum which is why feedback is so important and even when things may be going wrong, constructive feedback phrased in the positive is invaluable. · The other angle of this is to keep members informed about what is happening in the club bearing in mind that not all members are at every meeting and may miss update announcements. · This includes making announcements in a timely manner so members have the opportunity to include participation in their calendar and if wanted to respond with their feedback in time for it to be effective. · There are a number of natural opportunities where this can happen such as Club Assemblies, project meetings etc. · There are many ways to express trust but one is where we know the other person will put their’ best foot forward’ and we are prepared to accept that even if we know we or someone else could do the task better. · It is where if someone says they will do something then that is what they will do, and if they run into an issue doing this they will ask for help, and can expect to receive it. · This might be described as the willingness to work together where the focus is on achievement ‘for the greater good’ rather than individual advancement no matter what. · It also includes looking after each other as we all have moments where we drop the ball and knowing someone will ‘have our back’ is where trust and friendships are built. · Team work is sharing the work load through good delegation and when things are not quite working out as expected, helping people solve their problem rather than solving this for them. · Teams also work best if members are knowledgeable which is why newer members need to be encouraged to attend learning opportunities such as Rotary Leadership Institute. · Also to look at taking on new roles in the club as a learning experience with the certainty they are supported by a mentor and / or can call on any club member to share their knowledge and wisdom. · Culture is the collective norms and behaviours and will change over time as membership changes and the club does different activities. · For this reason even long serving members may find their fit within the club culture may change over time. · Every member needs to have a sense of belonging … being able to honestly say “this is ‘my’ club” and have the pride in that membership to tell others about it. · Say thank you … often. · Success begets success, so celebrate and recognise achievement which can be as simple as a few drinks at the conclusion of a project. · Recognition for specific achievements by individuals or groups is vital but so is an occasional recognition for the ‘routine’ such as to the bulletin editor who grinds away producing their best effort at an interesting bulletin week after week in the hope that someone reads it! · More substantial recognition can take many forms from a surprise bottle of wine to a Paul Harris Fellow recognition. · The highest recognition a club can award is Honorary Membership. · Often overlooked are the Rotary International recognition for which a club must initiate the application such as the Avenues of Service Citation … when did your club last recommend someone for this? · Tell the stories of achievement internally within the club via the 2-minute chat or project reports etc and also within Rotary media. · Use every opportunity to promote the club to the external audience from putting up a club banner at the local supermarket / shopping mall or speaking to community groups, plus of course the wide publicity possible from well written articles with photos widely distributed … again, success begets success but people need to know about it first.